This is so gorgeous! I need these Halo Hues. Thanks, Melissa! They really are awesome! Amazing color, I love how holo this one is! Totally not shy at all--I love it too! Thanks so much! 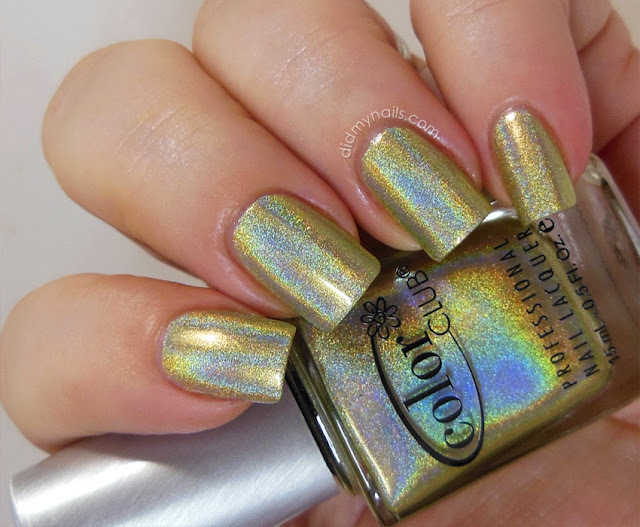 wow - this is CRAZY holo! love the color of this! Thanks, Missy! It really is a unique colour for a holo polish! I'm more of a scattered holo girl, but CC really knocked these out of the park, didn't they? Fantastic. Thanks, Amanda! I really am blown away by what an amazing job they did with this line! This colour looks so much better on you than it ever would on me! Just beautiful! Excuse me while I go wipe the drool off of my chin.. I can not wait to get this one in the mail. That is why I am stalking your swatches and living through you vicariously.